POKHARA, Oct 11: Lodges on the Annapurna Base Camp (ABC) trekking trail are preparing to add rooms as number of trekkers to this popular trekking destination continues to rise with each passing year. As most of the lodges above Sinuwa, the last settlement in the trek, have been built on public land, Annpurna Conservation Area Project (ACAP) has been prohibiting them from adding rooms. Rashmi Acharya, a tourism officer with ACAP, said that process has begun to add rooms at the hotels on the ABC trekking trail. “Hotels are facing problem in managing accommodation to guests during tourist season. As number of trekkers here is rising with each passing year, we have started preparation to add more rooms,” Acharya said, adding that the project has prepared a guideline to add rooms in lodges built on public land. There are four lodges in ABC, five in Machhapuchhre Base Camp, four in Deurali, two in Himalaya, three in Dobhan, five in Bambu and three in upper Sinuwa, according to ACAP. All these lodges are built on public land. All these lodes have six guest rooms each and one room each for staff members. Raj Kumar Gurung, vice president of Tourism Management Sub-Committee Chhomorong, said lodges with limited rooms cannot accommodate such a huge crowd, he added. “We have long been seeking permission to add rooms. It is good to note that we are finally being allowed to add rooms,” he added. 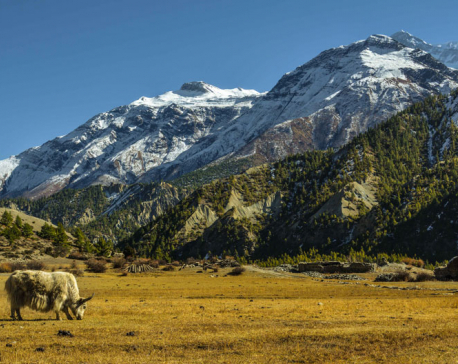 No new lodge has been built in the Annapurna Region since ACAP was formed in 1990. According to Gurung, local lodges started paying annual rent of Rs 70,000 to ACAP since last year. Before that, lodges were investing some portion of their earning in infrastructure development, he added.